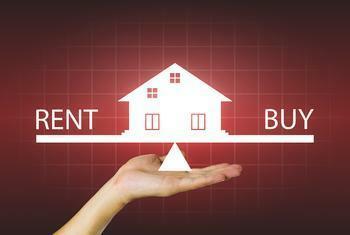 If you are planning to rent a home, expect some extra competition. A new survey from real estate marketplace Zillow shows more potential homebuyers, perhaps growing frustrated at the lack of available homes, are considering renting instead. That means consumers who have no alternative but to rent will go head to head with consumers who have the means to buy a home but have decided to keep their options open and rent a place for a while longer. Zillow has broken down the ins and outs of the typical home search. For those who want to rent a place, it now takes an average of 10 weeks to find a home to rent. It takes two weeks longer if you're looking in a tight rental market. But for those who plan to buy a home, the average search takes 17 weeks, in part because rising prices have pushed more homes out of range and the overall decline in inventory means there are fewer homes to choose from. The Zillow survey-takers found that most consumers who recently moved into a new home considered both buying and renting before settling on one or the other. Just how tough is it to buy a home these days? The Zillow survey found more than half – 54% – of buyers lost the first home on which they made an offer. For many of these buyers who were renting at the time, continuing to rent became an easy option. Wacksman says keeping rental options open can be a savvy strategy in today's housing market. Renting while still looking to buy allows him or her to avoid settling for a less-than-desirable home. After the financial crisis more people rented because they simply couldn't qualify for a mortgage under the new, suddenly tighter lending standards. Now that more people can afford to buy, there are fewer homes to purchase. Zillow notes that renters now make up a larger group of the U.S. population than at any time in the last half century. Last week, the U.S. Census Bureau reported the homeownership rate rose very slightly to 63.5 percent in the third quarter of 2016 – recovering slightly from a 51-year low.